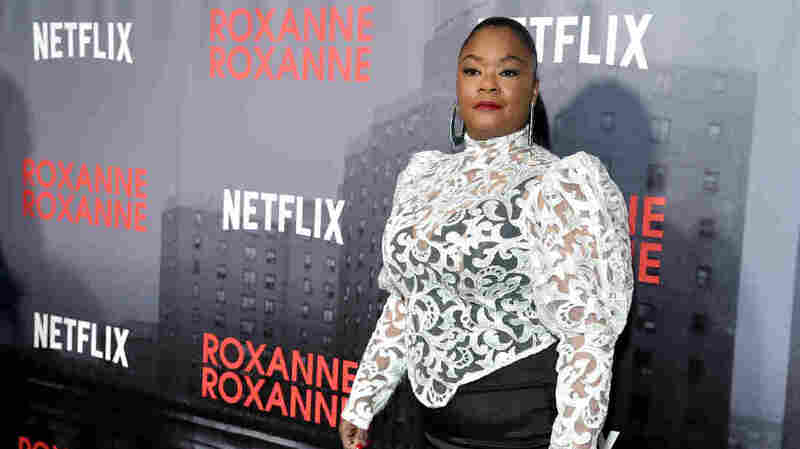 Rapper Roxanne Shante Relives "Things That I Survived" In New Netflix Biopic The new Netflix film chronicles the rapper's early career. Roxanne Shante attends a special screening of Roxanne Roxanne March 19, 2018 in New York City. Netflix's new musical biopic Roxanne Roxanne, streaming now, tells Shante's story — from her childhood in the projects, to her first rap battle with guys twice her age, to cementing her first underground hit. 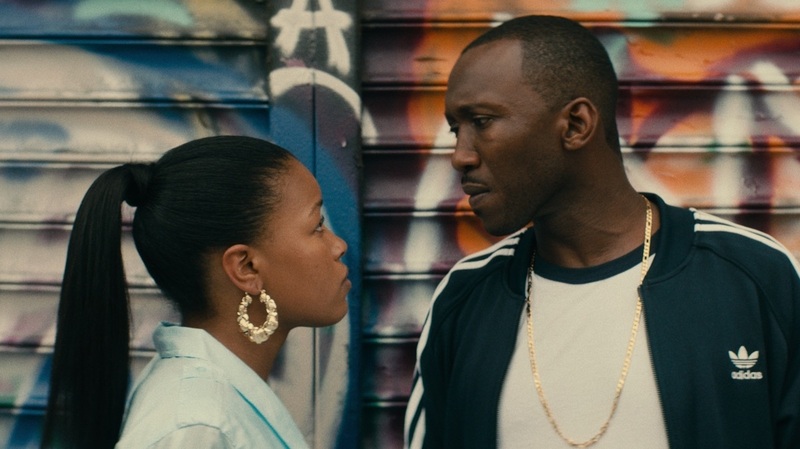 The film stars Nia Long, Mahershala Ali and Chanté Adams in the title role and is executive produced by Roxanne herself as well as Pharrell Williams and Forest Whitaker. Though the movie starts with the young MC already winning money at rap battles to support her family, Shante says she caught the rapping bug long before that. As a child, she remembers watching comedian Nipsey Russell rhyme on TV. "It started with what I call the Nipsey Russell syndrome," Shante says, referring to the comedian's wordplay. "It's the ability to be able to rhyme about anything at any time." 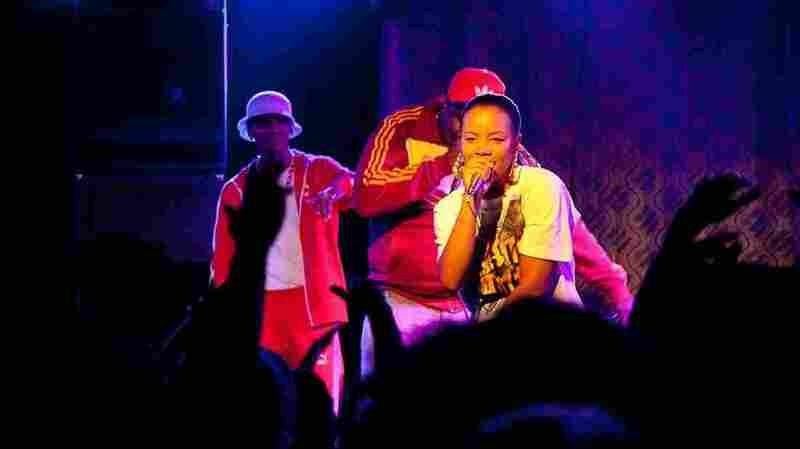 By her early teens, Shante was out-rapping guys in her neighborhood. She recorded her seven-minute freestyle over UTFO's 1984 song "Roxanne Roxanne" in one take. Her version of the track was called "Roxanne's Revenge." Chanté Adams plays the young rapper in Roxanne Roxanne. "It wasn't something that was planned out," she says, remembering that producer Marley Marl asked her to record the freestyle after seeing her on the way to to do laundry. Before she knew it, "Roxanne's Revenge" was all over New York radio. The track spawned response records and created a New York rap rivalry known as the Roxanne Wars. "Everyone wanted to be a Roxanne," she says. As a young woman, Shante had even more naysayers than her male counterparts. She remembers that practically everyone — managers, record label execs and people on the street — looked at hip-hop as a passing fad and doubted her abilities on the mic. "They had an expiration date on hip-hop," she says. Now, seeing these early moments of her career recreated on screen is a therapeutic experience for Shante. "It gave me a visual of the things that I survived, the things that I've been through, the things that you can overcome if you don't give up," the rapper explains. "So, going back to Queensbridge is just a sign of me not giving up, and also allowing other children who may be in that same predicament to look at me and say, 'OK, she didn't give up and look at her' ... It's a beautiful thing to smell your flowers while you're here." Roxanne speaks to NPR's Ailsa Chang about shooting the film in her old projects and the feminist aspect to her raps . Hear the conversation at the audio link.